The MeeTwo Teenage 'Mental Help' Handbook gives teenage mental health a voice. Youth mental health is a massive issue, but it is time to stop talking about raising awareness and start providing young people with the tools to do something about it. Whether that involves taking pills, getting to counselling or learning how to meditate, all help involves self help. This handbook is the first publication to combine the voices of young people and the opinions of experts with a completely holistic directory of ways that young people can help themselves. The first print run of the handbook has been funded through Kickstarter and copies will be distributed free to at least 1,000 UK schools in September 2018. If you want to be one of those schools contact us. Does your organisation deserve to be featured in the Handbook? Find out how here. If you'd like to support it or know anyone who might be able to help us extend our print run, contact us, or click the donate button. The Handbook features personal stories and artwork which explore the challenges and often overlapping complexities of family breakdown, exam stress, toxic friendships, poverty, abuse, self-harm, ill heath, eating disorders, bereavement, and ultimately, suicide. The Handbook also provides a unique opportunity to present expert overviews on teenage mental health issues. 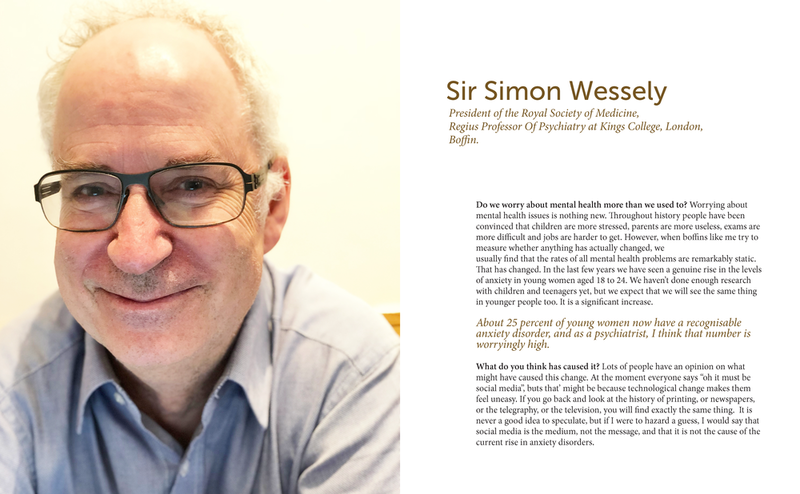 It includes exclusive interviews with Professor Sir Simon Wessely, Dr Henrietta Bowen Jones, Sir Anthony Seldon and many more. The book will also feature contributions from young authors with experience of mental health issues such as Aaron Gillies, Maggie Van Eijk. The most exciting aspect of The Handbook is the uniquely holistic directory which firmly emphasises wellbeing, support and self-help. The 'Mental Help' Directory includes a complete smorgasbord of support groups, helplines, apps, TedX talks, books, products, activities and self-care techniques. MeeTwo peer support and expert help for young people.